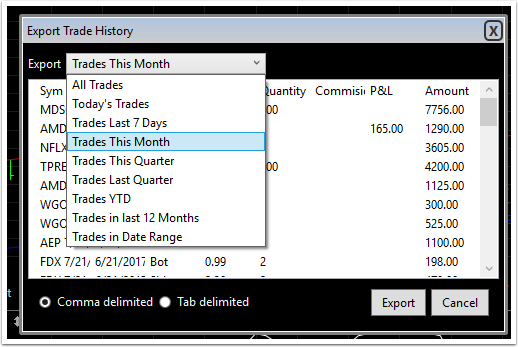 Exporting trade history from a brokerage or practice account allows for analysis of the trades in any format desired (e.g. Excel spreadsheet). 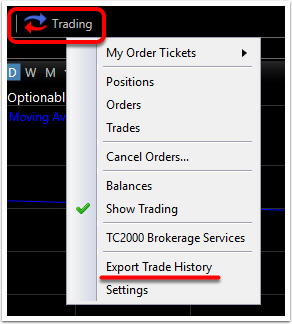 Here are the steps for exporting trade history. 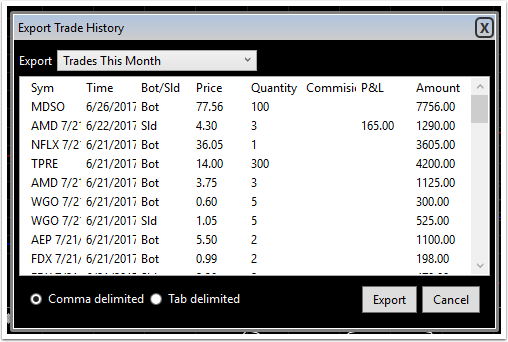 Note: Use Trades In Date Range to set a specific time span. Note: rename file if desired. 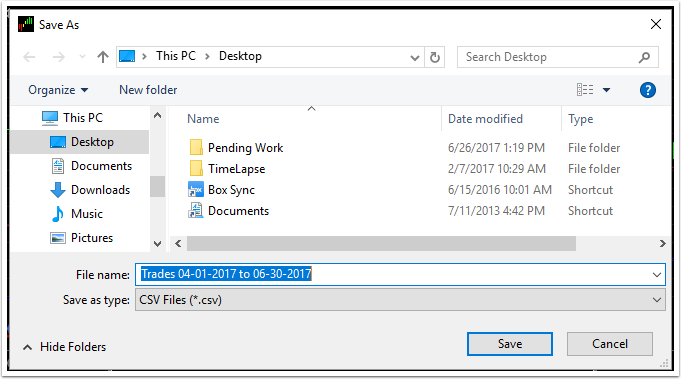 Default name uses the date range selected. 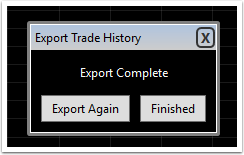 To perform another export, click Export Again. 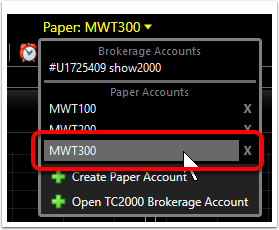 To leave the Export function, click Finished.